Announcing a call for artists for the East Lansing Art Festival 2019. Established in 1964, the festival is an evolving outdoor celebration featuring fine artists, exceptional musicians, artist demos, children’s art activities, poetry, and delicious food. The festival offers community members an opportunity to learn directly about the artistic process from the artist and purchase one of a kind original pieces of art. The festival strives to introduce the next generation of art lovers by introducing children to interesting arts activities and experiences. The Emerging Artist program contributes to the next generation of exhibiting artists by providing space and mentorship to artists new to the festival circuit. Each of these endeavors fosters an atmosphere of art appreciation and a weekend of fun. 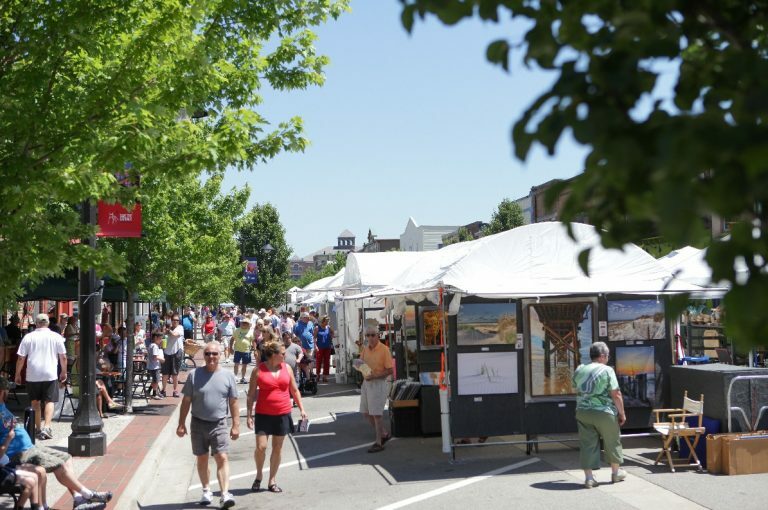 In its 56th year, the East Lansing Art Festival is a well-established fine art and fine craft show that attracts artists from all over the country. As a May event, the festival leads the way into the summer art festival season in Michigan. The festival got its start when a group of artists set up their art on the main street of the downtown. The Festival has grown and evolved into a two day festival produced by a volunteer Board of Directors and two part-time staff. With amenities like complementary promotional postcards, Friday drive-up load-in at booth assignment, Saturday morning coffee and donuts, booth sitters, free artist parking, and upwards of 60,000 weekend visitors, the festival provides an exceptional artist experience. For more information, contact info@elartfest.com. 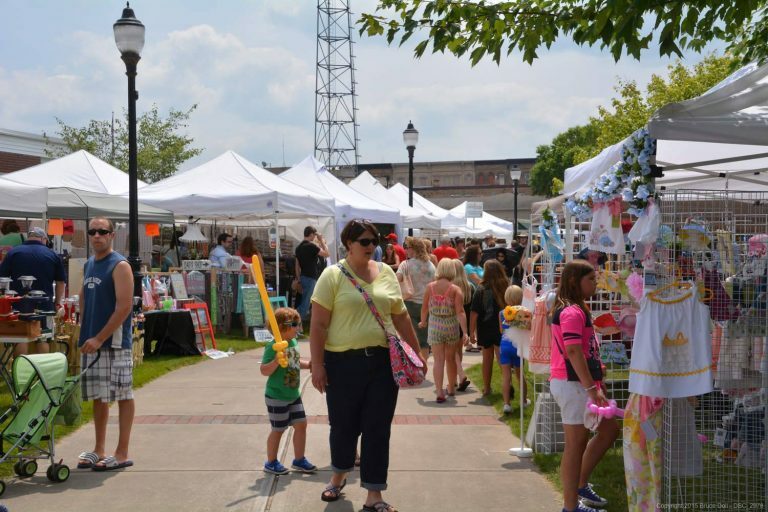 The Chamber of Grand Haven, Spring Lake, Ferrysburg announces a call for artists for the 58th Annual Grand Haven Art Festival, a community event that takes place the last full weekend in June (June 29 and 30 this year). It invites nearly 100 artists from across the country to transform Washington Avenue into a chic, outdoor, art gallery. Ranked number 14 in the Top 200 Shows by Sunshine Artist Magazine, this well-attended event boasts free admission, food vendors, kids’ activities, and live music. Residents and visitors from Grand Rapids, Chicago, and Detroit visit the annual Grand Haven Art Festival looking to purchase that perfect piece for their homes, cottages, and offices. This show welcomes fine art only. All artwork must be the original, handcrafted work of the displaying artist. Buy/Sell vendors are strictly prohibited. Artwork will not be permitted if it is created from non-artist made molds, kits, or other commercial methods. Artwork produced in studios involved in volume production will not be permitted, nor will work that is mass-produced or ready-made items (clothing, furniture) with artistic embellishments. Available categories for applying include clay, digital art, drawing, fiber, glass, jewelry, metal, mixed media, painting, photography, printmaking, sculpture, and wood. Artists prizes total $1,000 (top three prizes only). Honorable Mentions in each category listed above are awarded. There are many artist benefits and amenities including booth sitters, complimentary snacks and water, complimentary breakfast, a host home program for accommodations, extensive marketing in newspaper, television, and social media, artist parking close to the show, as well as an excited, welcoming, and beautiful community to spend the weekend. Grand Haven Art Festival is a smaller show (in terms of number of booths) in comparison to other nationally-ranked shows. That’s what makes it special. Buyers feel they have the time to stop in to each and every booth and make real connections with artists. The Chamber of Commerce Grand Haven, Spring Lake, Ferrysburg has been the go to place for businesses in Northwest Ottawa County since 1899. They continue to be the leading voice for business. It is their mission to be the connection point facilitating the economic drivers that support business development, sustained growth, health, and quality of life for all sectors in North Ottawa County and West Michigan. For more information, contact msherman@grandhavenchamber.org. The Good Hart Artist Residency, located in Good Hart, Michigan, announces a call for artists for the Good Hart 2019 Artist Residencies – 2-3 week residencies dedicated visual artists and writers. The residency provides a live/work studio space, food, a $500.00 stipend, and a quiet setting to concentrate on creative work. The resident artist is housed in a rural area within walking distance of Lake Michigan and the village of Good Hart, along the “Tunnel of Trees,” a Scenic Heritage Route. The Good Hart Artist Residency offers a solitary experience by hosting one resident at a time. The residency works in partnership with several local community organizations. Breakfast and lunch foods will be stocked in the studio apartment and dinners offered by the host family three times per week. Locally sourced ingredients and seasonal vegetables from an onsite garden when available. The Good Hart Artist Residency is motivated by the three concepts of Art, Place, and Community. Art – Good Hart Artist Residency welcomes writers and artists working in all visual mediums. The residency provides time and space for writers and artists to create, as well as full room and board to allow residents time to focus on work. Place – Good Hart is a very small town located on M-119, a scenic heritage route referred to as the Tunnel of Trees, in Northern Michigan. The area’s natural beauty includes the Lake Michigan shoreline, inland lakes, and coastal dunes and wetlands. This unique region is home to state parks and forests and more than 25 publicly accessible preserves. Community – The Good Hart Artist Residency believes connecting people from different backgrounds and cultures feeds creativity and creates a more interesting and compassionate world. 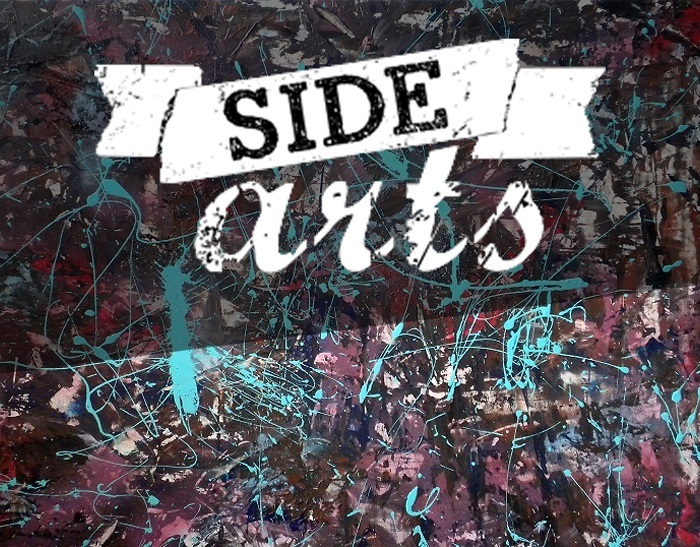 Artists-in-residence connect to the local community by collaborating with our partnering nonprofit organizations to provide educational workshops, presentations, and open houses. For more information, contact goodhartartistresidency@gmail.com. The Lowell Area Chamber of Commerce announces a call for artists for the Riverwalk Festival 2018, to be held along the Flat River Riverwalk in Downtown Historic Lowell, MI. The focus is on handmade, re-purposed, found, organic, natural, sustainable, and eco-friendly art. The show is a gathering of 70 artists and craftspeople. The show is for high quality art and handcrafted but not a fine art. Median priced items sell best. The Riverwalk Festival 2018 is on July 12, 13, and 14. Artists are required to participate on Friday night and Saturday. The Chamber offers vendors continental breakfast on Saturday morning from 8am-9am. Vendor parking is close to the show area, making it easy for unloading and loading. Overnight security is provided. The festival is a crowd-pleaser which draws in thousands of people from around the area. This a family friendly event with many fun activities. The Lowell Area Chamber of Commerce has been a longstanding organization in the Greater Lowell Community. Organized as the Lowell Board of Trade in 1906, the name was changed to the Lowell Area Chamber of Commerce in 1970. Their mission is promote commerce and welfare in the Lowell area, making the area a desirable location for capital investment and residence. They promote the quality of life and harmony among the business and residential communities. For more information, contact info@lowellchamber.org. Think Jackson announces a call for artists for Bloomin’ Field of Artists, a new art fair in Jackson, Michigan. Located in the beautiful Bloomfield Park on West Michigan Avenue, a highly attractive neighborhood. Booth spaces (10×10) are available for $100. Larger spaces and guaranteed corners available. Artists must provide all of their own tenting and displays. Overnight security will be provided. Tents must be secured by artist. Bloomin’ Field Of Artists will be promoted to Jackson and surrounding communities. It is open to the public with no entrance fees. Event planners are working on scheduling an evening concert and other potential art related events throughout the weekend to help promote the fair and bring in additional customers. Think Jackson is a community development and event planning company that focuses on projects and events that promote the Jackson community. Events are designed to cross collaborate with as many people and organizations as possible to capitalize on the promotion and interactions. Other events and projects include Amazing Race Jackson (2013-2018); ARTitude (2014-2017); Invest in Jackson: Landlord & Property Managers Conference (2015, 2018); Placemaking projects partnering with Jackson Area Association of Realtors (2014-2018); and coordinating fundraising auctions. Future events and projects will include Mural Contest partnering with Jackson Young Professionals, Coney Fest, Bike Ride, and Prison Run. For more information, contact events@thinkjacksonmi.com. The Michigan Medicine Gifts of Art Program is seeking submissions for solo and group exhibitions for the September 2018 to August 2019 exhibit year. One of the first and most comprehensive arts in healthcare programs in the nation, the Gifts of Art Program brings the world of art and music to the academic medical center of the University of Michigan. The Gifts of Art Program is designed to calm nerves, lift spirits, and engage minds. This supports the healing process and reduces the stress and anxiety often associated with a healthcare setting. Engaging with the arts in a medical setting can be an especially powerful, transformative experience for patients and visitors. The artwork on display is richly diverse in style, medium, form, and subject. They provide an ever-changing sampling of the best art the region has to offer. The University of Michigan Hospitals are a large, academic medical center with over 26,000 employees. Nine 2D and 3D galleries throughout the medical center are viewed by approximately 10,000 people a day. The galleries display over thirty exhibits a year. The galleries are some of the most widely visited indoor, non-museum exhibit spaces in Michigan. Artists are not required to have works for sale. Community and arts organizations are welcome to apply. Michigan Medicine is home to one of the largest health care complexes in the world. It has been the site of many groundbreaking medical and technological advancements since the Medical School first opened in 1850. Their vision is to create the future of health care through discovery and become the national leader in health care, health care reform, biomedical innovation and education. For more information, contact kmtalley@umich.edu. East Lansing Art Festival 2018 announces a call for artists for the May 19-20, 2018, mid-Michigan event featuring fine art, live local music, children’s educational art activities, live artist demos, poetry readings, and an international-style food court in Downtown East Lansing, Michigan. East Lansing is a charming university town with a variety of shops, restaurants, and galleries. The beautiful Michigan State University campus is across the street. It is home to the renowned Eli & Edythe Broad Art Museum. The East Lansing Art Festival is ranked #38 by Sunshine Artist magazine’s 100 best fine art shows. 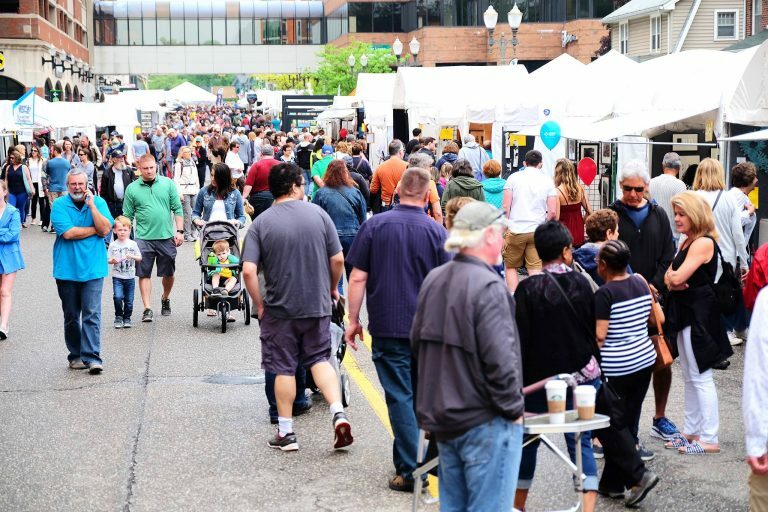 Established in 1964, the East Lansing Art Festival is an evolving outdoor celebration featuring fine artists, exceptional musicians, artist demos, children’s art activities, poetry, and delicious food. The festival offers community members an opportunity to learn about the artistic process directly from the artist and purchase one of a kind original pieces of art. The festival strives to introduce the next generation of art lovers by introducing children to interesting arts activities and experiences. The Emerging Artist program also contributes to the next generation of exhibiting artists by providing space and mentorship to artists new to the festival circuit. Each of these endeavors fosters an atmosphere of art appreciation and a weekend of fun. South Haven Center for the Arts announces a call for artists for Just Drawing, their 8th Annual Regional Juried Exhibition. Drawing can be defined as the arrangement of line and mark in space designed to serve a variety of expressive purposes. It is often used as a preliminary step in service of other mediums. This exhibition will feature drawing as the main act. 2-D and 3-D work is acceptable as long as drawing is the main feature. This call is open to all artists 18 years of age or over in the following states: Michigan, Ohio, Indiana, Illinois and Wisconsin. All work must be the original work of the artist and completed in the last three years. The Just Drawing Exhibition will be juried by local artists Lou and Linda Rizzolo. Lou trained as an artist at Western Michigan, the University of Iowa, and the University of Georgia. He is a significant presence on the world artistic stage. He has taught, lectured, and exhibited internationally for over forty years. His works, which ranges from drawing to multimedia installations, have captured audiences in the U.S. Canada, Scotland, Switzerland, Hawaii, Austria, France, Norway, Australia and Albania. Lou has participated in ArtPrize for several years. Work that is accepted into Just Drawing by the jurors will be on display at the South Haven Center for the Arts from September 23 through November 11, 2017. The exhibition will include an opening reception. All artists and friends will be invited attend. Three winners will be chosen by the jurors with a First Prize of $150, Second Prize of $100, and third Prize of $50. Exhibited work may be sold at the price specified on the entry form. A commission of 35% is received by the South Haven Center for the Center for works sold during the exhibition. South Haven Center for the Arts (SHCA) is the primary arts non-profit in the greater South Haven area. The South Haven Center for the Arts originated in 1951 as the South Haven Art League and has a long-standing tradition of providing South Haven and surrounding communities a venue to learn about and participate in the visual arts. The art center provides cultural enrichment to a population diverse in age, ethnicity, economic status, and education level. They offer year-round exhibitions and creative programming for adults and children to encourage individual artists to enter the field and foster the growth of art in the community. The SHCA is the only art center in Van Buren County. It attracts hundreds of visitors from cities and towns in Michigan, Ohio, Indiana, Illinois, and Wisconsin each year. The SHCA is the primary arts non-profit in the greater South Haven area and works with other area community and non-profit organizations to offer additional opportunities for artists throughout the year. Free to the public, the art center is located in an historic Carnegie Library built in 1906. It offers unique exhibition space to showcase artwork and is an additional draw for seasonal visitors.